Exciting news! 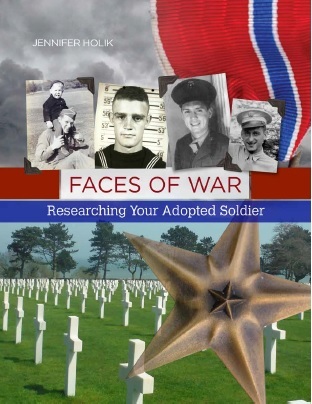 Another foundation in the Netherlands is now selling my book Faces of War: Researching Your Adopted Soldier. Now you can purchase a copy and support the Foundation for Adopting Graves American Cemetery Margraten. Book Description: The American Battle Monuments Commission (ABMC) operates and maintains 25 permanent American military cemeteries overseas. In many of the countries in which these cemeteries are located, men and women officially and unofficially, through Adoption Foundation programs, adopt the graves of American service men and women in the ABMC cemeteries. 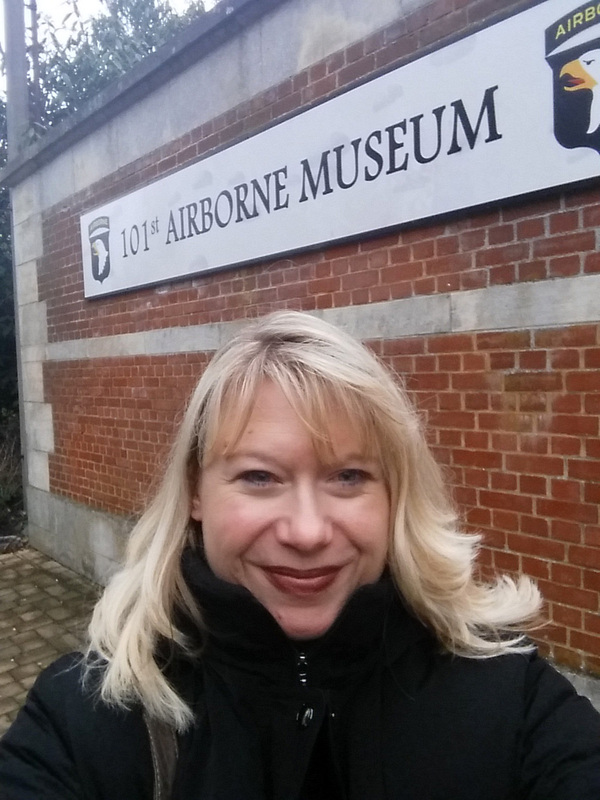 Researching the service and life of a soldier while living in Europe, has its challenges, primarily because the records they need are located in archives in the United States. There is also the challenge of the 1973 fire at the National Personnel Records Center in St. Louis, Missouri. The fire destroyed roughly 80% of the Army, Air Corps/Army Air Forces, and National Guard personnel files. This is not however, the end of the story where researchers are concerned. All the tools researchers need to start exploring their World War I or World War II soldier, civilian, sailor, or Marine’s service, are included in this volume. The basics of starting research and creating a timeline of service. Resources and strategies for online and offline military research. Resources for obtaining a wide range of information on a soldier’s death and burial. Instructions for ordering and using military records to reconstruct service history for men and women. And, tips for placing the soldier into historical context using higher level records. Through examples, checklists, and document images, researchers are taught how to locate and analyze records for any branch of the military. This volume focuses more on World War II records, but the process for a World War I soldier and records created, are similar. Once you understand the research process, it can be applied to either war. Military Monday – Are You Wasting Time and Money On Research? Are you wasting Time and Money on World War II research that may not pertain to your soldier? I’ve spent a lot of time on social media and email recently answering the same/similar questions or commenting on posts to clear up misinformation. A lot of people have been posting that their family member served in a long list of campaigns and in many cases, the only proof they have is a unit history that says so. That doesn’t mean your soldier was in that unit the entire time. In an attempt to help researchers to stop wasting their time and money on World War II research, here are a few tips. Do your homework and make sure your soldier/airmen/sailor/Marine was in the unit you think he was or he told you he was. Why is this important? A lot of researchers (family members) have vague information or a few stories with which to begin research. They hear their father/grandfather/uncle (whomever) was in the 82nd Airborne or 1st Infantry Division and they go looking for all the history they can about that Division from a high level. They look for books hoping to catch a glimpse of their family member’s name. Some even go so far as to order unit records from College Park to get the big picture. Yet, they still have no real idea of when and how long their family member was actually in that unit. Researchers need to start at the beginning – with their soldier and the “small” picture. For example, I’ve had many clients come to me and tell me their father was in a particular unit and fought in several European Theater Campaigns. Once I conducted research into where they were, what units, and when, the story was not always what the family thought it was. Sometimes a soldier was in a Replacement Depot or Hospital part of the war and missed a lot of campaigns. You cannot assume just because his unit participated in a list of campaigns, that he was present. How do you find out which units he was actually part of? Start the research with the “small” picture of the soldier’s service history. You can start this on your own by reading my books, Stories from the World War II Battlefield. These are the ONLY authoritative books on the market that teach you how to do the research. I give a step-by-step account of how to dig into the records. Volume 1 covers Army, Air Corps, and National Guard Records in 300+ pages. Volume 2 covers Navy, Coast Guard, Marine Corps, and Merchant Marines in 400+ pages. I hold a researcher’s hand and guide them through searching for basic information at home, provide checklists of where to look for information, and then guide them through the record retrieval process and analysis of information. Want to know how to organize your materials and write the stories? Volume 3 is coming out soon! Another option is to request the service file from the National Personnel Records Center (NPRC) in St. Louis. If it didn’t burn and you have a unit down to the company level, you can make an appointment to visit and and search Army Morning Reports (Army, Air Corps, National Guard.) Other service branches have records online at Ancestry.com – Navy or Marine Corps Muster Rolls. Where can you learn more about World War II research? Have you tried collaboration? Talk to other researchers, especially professionals, or those who have been working on a particular unit for many years. Contact military museums and libraries and research institutions that hold military records. Attend a program or lecture series or watch webinars. I speak in both the U.S. and Europe on how to research World War II service and write the stories. The webinars or NARA Genealogy Fair programs which you can view online, give high level all wars overviews of records. They do not tell you how to do the research step by step. I am available to speak in other locations than Chicago. Please contact me through to discuss program options. Read blogs and online articles and magazine articles, on World War II for both a view of the big picture and how others have located information. Everyone has their own way of locating information and everyone has a different starting point. All avenues and starting points provide valuable lessons in research and analysis. Many who blog about their research and findings will tell you what when ‘right’ and what went ‘wrong’ in the process. This is a form of collaboration which is so important in research. When do you need to hire a researcher? When you cannot or chose not do do the research yourself. Some people hire me because they have no idea what to do, or do not have the time or desire to do the research themselves. Others hire me because I can obtain records in places that require an in-person visit. World War II records are held all over the U.S., not only in St. Louis or College Park. Professional researchers know the ins and outs of research in various repositories. Researchers know where the records are, how to get them, how to analyze them and where to go next. They are also able to research and copy record that may require an in-person visit. For example, NPRC will allow you to mail in Form 180 and request a search of the Official Military Personnel File (OMPF). They will not then go search Morning Reports and tell you where your soldier was and in which units. Usually, you will receive a letter stating his file burned if he was Army, Air Corps, National Guard. Professionals are good at connecting the dots and thinking outside the box for research resources. One thing I am VERY good at is piecing together service histories from almost nothing. You can read testimonials here. I also have a vast network of researchers around the world I work with, some of whom are in the Research Collective, others are not listed. No one person knows everything about any topic. Collaboration is key when researching World War II service. Professional researchers can help clear up misconceptions, questionable photographs and documents a family holds. I had one client provide me with his family story that his father was part of D-Day, and also photographs, one of which stated, ‘June 1944 Normandy, 2nd time around.’ This caption written on the back made no sense because the majority of people who were involved in D-Day kept on fighting and moving out of the area or those who were seriously wounded were shipped to England and didn’t return to France right away. Upon further research, the only explanation I could give for that photograph was, ‘I have no idea why that caption is there and here is why.’ The explanation was his father was in England with his unit until after the invasion happened. His unit was a new one formed in April 1944 and had no amphibious training. Therefore, they were not part of D-Day. I proved this through several military documents. Also, this unti departed England after D-Day and sat in the Channel for many days because of the bad storm that ripped through there mid-June. This unit disembarked 27 June through Utah and Omaha Beaches. From there, the unit began moving out of Normandy. 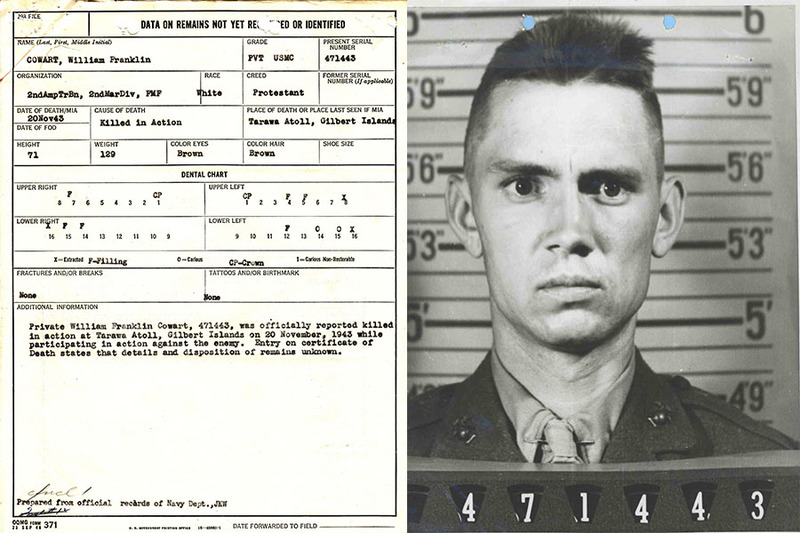 There was no way, based on the records, he was in Normandy twice in June 1944, as the photo suggested. I offer fully cited, detailed reports of service with the option to write a book about your soldier. A lot of people have trouble deciphering the military language and abbreviations. Professional researchers are skilled in this and can provide a more detailed accounting of a soldier’s service. All of my reports are fully cited with all the sources from which the information came so anyone can re-create my steps. I also provide copies of all records obtained, a bibliography of other materials and research suggestions. The other thing I do, which many researchers do not, is write and publish a book about your soldier’s life. My background is in history and genealogy. 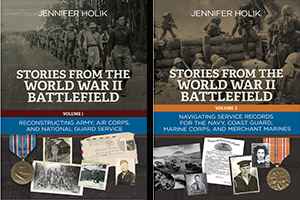 I have written countless books for clients on their family’s history and military ancestors. The main point here is to do your homework before investing a lot of time and money in the big picture of the war. Research on your own or with a professional. Both are valuable options to consider. April 13, 2015 I made my first trip to Europe. Three weeks, six countries, and I saw five minutes of a lot of things. It was the most incredible trip I had ever taken. An experience for which I will be forever grateful. Changed my life, my perspective, and my work. That trip also took me on a spiritual journey unlike any other and opened my heart and soul up more than it had been. The soldiers who were already communicating with me, were now doing so at a higher level. It was a little crazy, unnerving at times, and amazingly cool. The writing I did during and after that trip allowed me to heal things within myself but also others through my books and programs. Before I left Amsterdam on 6 May, the universe already had plans to bring me back in October. Having never traveled solo overseas, this idea was both scary and exciting. A good friend had been telling me for a year to travel alone, but it wasn’t time yet. I wasn’t ready until October 2015. Too many other things had to be let go of and healed or written before I could go. On 13 October 2015, I boarded a plane in Chicago and flew back to Amsterdam, alone. Sitting on the plane, I knew the next three weeks would change my life in unexpected ways, bringing blessings, sadness, joy, inspiration, incredible experiences, relaxation, new opportunities, many new friends, an opportunity for balance, and the opportunity to release things which no longer served me. The trip also provided another major spiritual shift in my life. I invite you to travel with me in my soldier’s footsteps. Me after being up countless hours and traveling from Chicago to Bastogne. Planning a European trip has its challenges from booking the flight, car rental, places to stay, and what you want to do. Add a layer of lecturing four times and another layer of scheduling time to meet a lot of Facebook friends who do WWII research, while I was there. I went with the flow, which a year ago I would not have done. My schedule changed daily the last two weeks before I departed, often between 3 and 4 a.m. as my friends in Europe would message me to confirm or arrange something. I even finalized details of my final speaking engagement right before I boarded the plane! While some people (and the me a year ago) might not have done well with this ‘go with the flow’ attitude, it absolutely worked for me. I departed Chicago after 6 p.m. and arrived in Amsterdam by 9:30 a.m. their time (2:30 a.m. our time.) Made my way through customs and headed across the city-like Schiphol Airport to the car rental area. It all went smoothly. Soon I was on my way to my first destination, about 3.5 hours away, BASTOGNE! 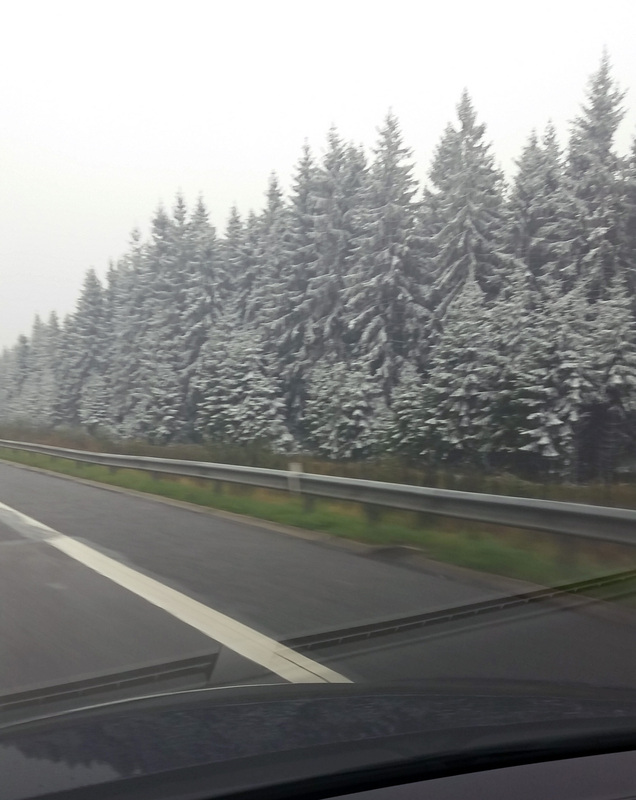 As I drove south though the Netherlands into Belgium, it snowed! Not much, just enough to cover the trees and look beautiful and magical. Driving after being up, technically at 2:30 a.m. is not so fun, but there are nice gas/restaurant station areas along the highway in the Netherlands. These are excellent places to stop for coffee and a yummy lunch. Stopping half-way to Bastogne as the snow fell was a good idea. I counted my many blessings over that lunch and pinched myself a lot because I couldn’t believe I was actually in Europe by myself! When I arrived in Bastogne, I checked into the Hotel Melba. This is where everyone said to stay. I’m glad I listened to their advice. The staff was wonderful and helpful, room was comfortable, with a view from the back of old homes and a field with donkeys. They could be heard at all times of the day. I spent part of two days in Bastogne in May, so had an idea of where things were. Since it was late afternoon, to stay awake, I took a walk down to the tank and main street. First stop, with my journal in hand, was the Boulangerie Courtois for a coffee and piece of something decadent. 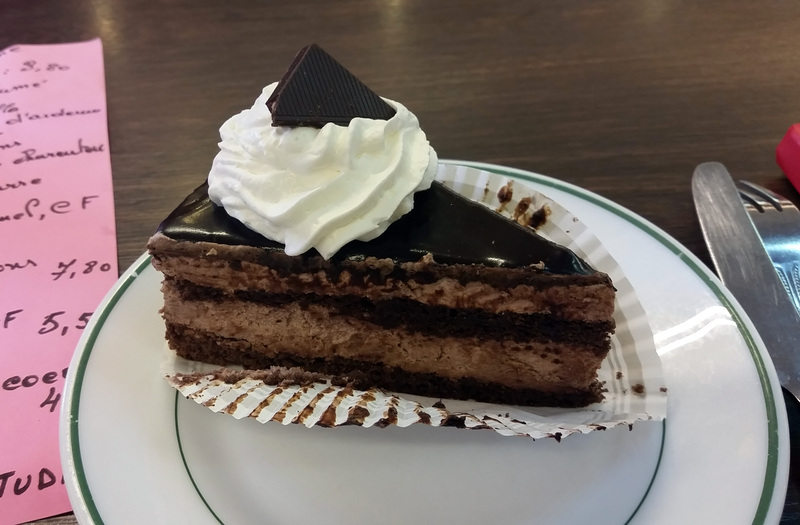 I stayed in the bakery about an hour, again counting my blessings and pinching myself, while writing and enjoying my dessert. When the dessert was gone I walked back to the hotel by way of the 101st Airborne Museum – Le Mess – probably my favorite place in Bastogne. I did not go inside because they had just closed. My visit was planned for Friday. Instead, I returned to my room to catch up on email and prepare for the next day when I would meet Tom Scholtes and Doug Mitchell and see the Sauer River Crossing sites and visit my cousin James Privoznik in Luxembourg Cemetery. Hotel Melba has a restaurant and I went down before dinner to enjoy a Jupiler beer at the bar while listening to a conversation by an American family. Dinner was a fantastic steak with loads of vegetables. I enjoyed it immensely while again, listening to the conversations of those around me. The American family was seated at the table next to me and I heard about their visit to areas around Bastogne. Now, I used to be quiet and not interrupt total strangers conversations, but we all grow and change. I heard the son say they would skip the museum in Bastogne the next day and at that point I had to interrupt and ask, which museum. He replied Le Mess. At that point I inserted myself into the conversation and told them they absolutely could not miss Le mess. That led to a longer conversation about why we were both in Europe, what I did for work, and them assuring me they would visit the museum. At that point, I finished my coffee and went upstairs to bed. The son and I are now Facebook friends and we followed the others trips and had interesting conversations. You never know who you will meet when you travel. Or how it will change your plans and experiences. At the end of my first very long travel day I was completely content. Look what I had done! 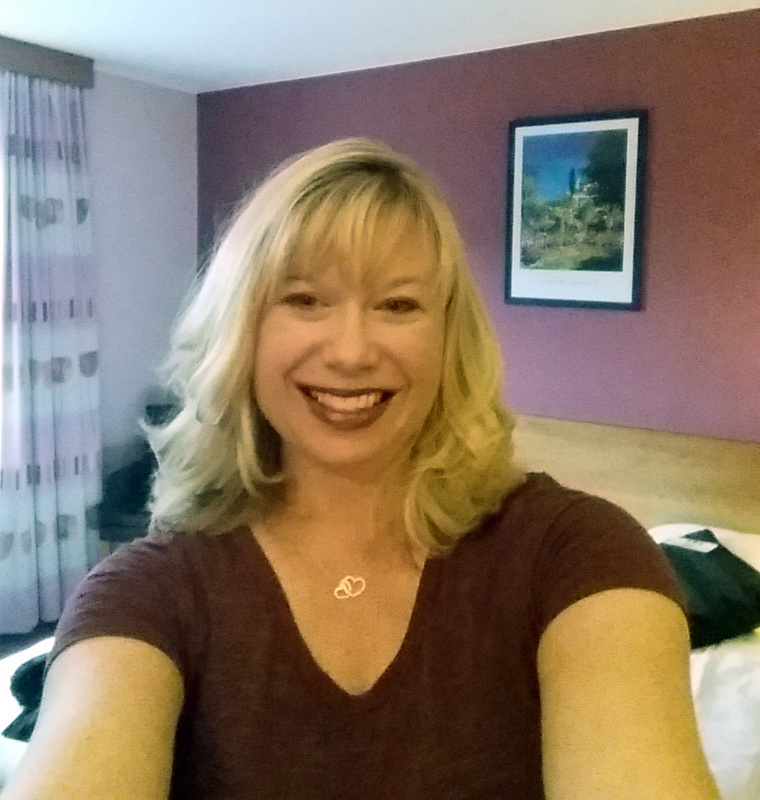 Traveling solo! Who knew what the rest of the three weeks would bring. I was sure as I drifted to sleep, thanking the Gods and Angels for the amazing day, the trip would change my life and in some way, the lives of all those I would meet or encounter, including my army of soldiers, sailors, and Marines, who are always with me.